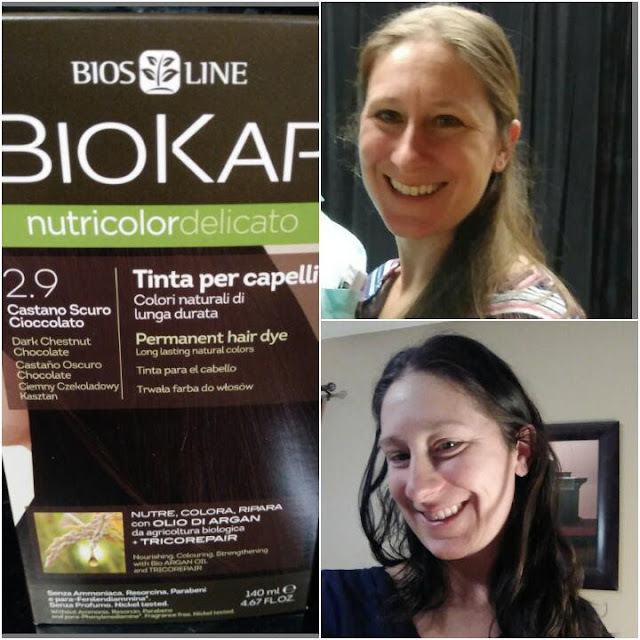 Give Your Hair A Natural Makeover with BIOKAP Nutricolor Delicato Hair Dye! Are you getting the color you want when dying your hair? What if you could while using as many natural ingredients as possible? I don't dye my hair often but sometimes I get the itch to change things up and go darker! 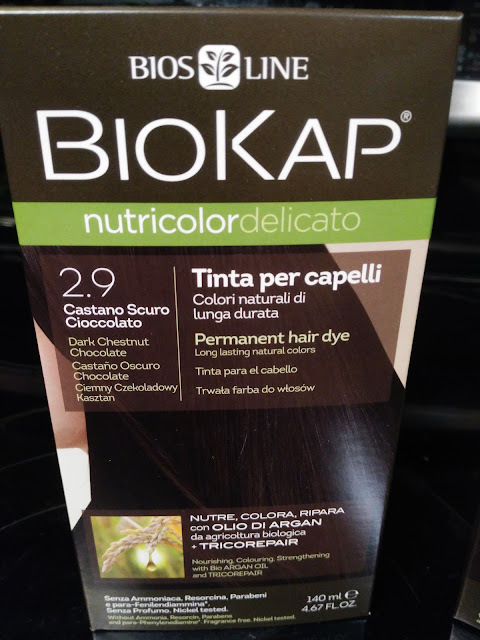 I got that itch last night and I was so happy to reach for BIOKAP Nutricolor Delicato, a natural and gentle permanent hair dye. I am always nervous to dye my hair because I don't want any terrible, harmful chemicals going in my body and I don't want dry, damaged hair. But BIOKEN really gave me hope for BETTER looking hair after dyeing it and that is rare!! Their hair dye contains NO PPD, paraben, ammonia, or resorcin and it is Nickel and dermatologically tested! Plus, their hair dye contains over 90% natural ingredients!!! And it is GMO, cruelty, gluten and fragrance free and also Vegan! You don't hear that often when it comes to hair dye!!! The exclusive formula of Biokap Nutricolor Delicato Hair Dye, with vegetable ingredients and high skin tolerability, nourishes and repairs hair while dyeing it and covers grey hair perfectly. With TRICOREPAIR, a complex with Rice proteins, Willow derivative and fruit lipophilic acids. Enriched with Argan oil from organic farming, it nourishes the hair and makes it softer and shinier. I never would have thought that my hair would feel and look so amazing AFTER dyeing it! But the minute I was done rinsing it out and even the next morning, I could tell the difference! My hair is shinier, softer and feels refreshed and nourished! PLUS, I LOVE THE COLOR! I am so in love with this dark Chestnut Chocolate color I chose! It is a little dark red with dark brown and I feel so fun with this color! I can't wait to try the other color I picked out also - Chocolate Chestnut. BIOKAP offers 14 shades all without Ammonia, Resorcinol, Parabens, Fragrance and Paraphenylenediamine. 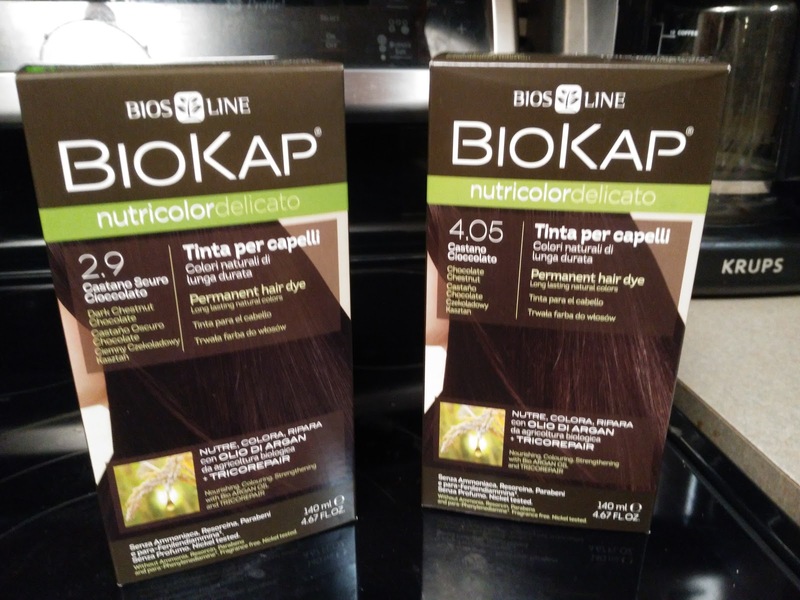 If you are looking to dye your hair, I highly recommend BIOKEN Nutricolor Delicato Hair Dye! Not only is the color great and all-natural, but my hair feels and looks amazing after dying it as well! You can purchase the BIOKEN Nutricolor Delicato hair dye for $14.99 a box from the BIOKEN website.